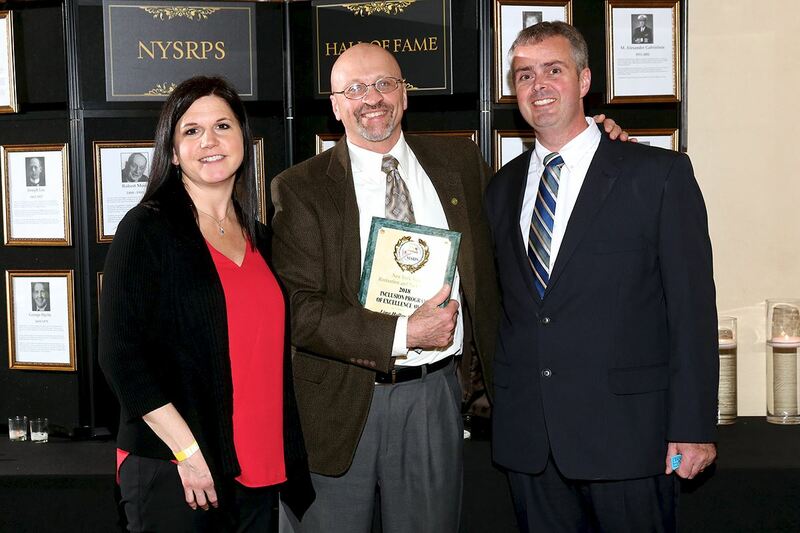 Each year the New York State Recreation and Park Society presents a series of awards that have become a coveted honor for the people and organizations singled out for their contributions to parks and recreation. These awards are presented at the Annual Awards Presentation, held this year during the Annual Conference & Business Expo in Syracuse. Only current members of NYSRPS are eligible to nominate qualified candidates for these awards. and has demonstrated professional meritorious service to NYSRPS for a minimum of 10 years. This scholarship is available to undergraduates and graduate college students who are majoring in the Recreation, Parks and Leisure Services field. A major in Physical Education does not meet the requirements of this scholarship. Applicants must be residents of New York State and be attending an accredited college in New York State on a full-time or regular part-time basis. It is the intent of the scholarship committee to award as many scholarships as financially possible on an annual basis, each in the amount of $750.00. The announcement of the scholarship winners coincides with the Society’s Annual Conference and Business Expo and is presented as part of the formal awards ceremony. Scholarship awards will be made upon verification of successful completion of one full semester in the current year. Applicants will be judged on their academic record, leadership, co-curricular and out of school activities, resourcefulness, personal philosophy, professional affiliations and involvement. Scholarship awards will be made on the basis of this application and you’re supporting material. There will be no interviews.